In Russia, selfie mishaps appear to be more common than in any other country in the world. We’ve seen someone shoot herself in the head while attempting an ultimate danger pic, and two women electrocute themselves while snapping a selfie on top of a train. This week, a young woman from Moscow tragically fell 40ft to her death after posing near a weak fence atop a bridge. What is going on in the motherland? Russian authorities have reported that the problem is becoming severe and that there have been dozens of selfie-related deaths. 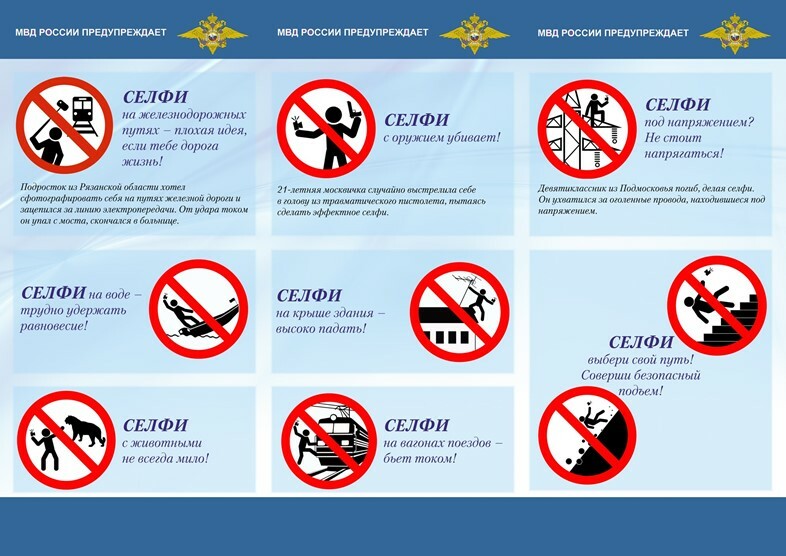 To that end, they’ve released a "safe selfie guide" for Russians to read, encouraging them to take more care when posing for photos. The Russian Interior Ministry says on its website that "it is concerned about the increasing incidence of trauma and even death when trying to make a unique selfie. Each of these cases can be prevented. The Russian Interior Ministry has created 'Safe Selfie', designed to draw attention, especially of young people to this problem. We have tried to visualise, in the form of icons, the most traumatic cases from the creation of selfies, thus to warn citizens against undue risk for a memorable picture." 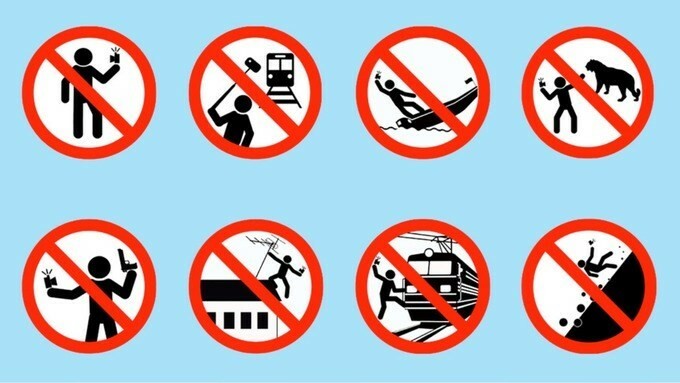 The guide helpfully advises citizens not to take selfies leaning in front of trains, next to dangerous animals, leaning out of boats or on top of power masts. Remember, kids: Insta likes may seem important, but they ain’t worth your life.